It’s a new year and we have a fresh new look for our plant flyers! We debuted them at the MANTS Show and they were well received by growers. Here is a link to Dropbox where you can download and print them for your sales and marketing needs. So far flyers available include the following plants with more in production. As completed they’ll be uploaded to this Dropbox folder so be sure to check back. If you have a particular plant you’d like to see an updated flyer for sooner rather than later, please email Maria and we’ll give it a higher priority. 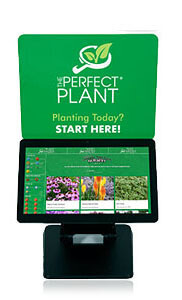 The Perfect Plant is a website plugin and in-store kiosk that helps customers and staff quickly find plant solutions at their local garden retailer. 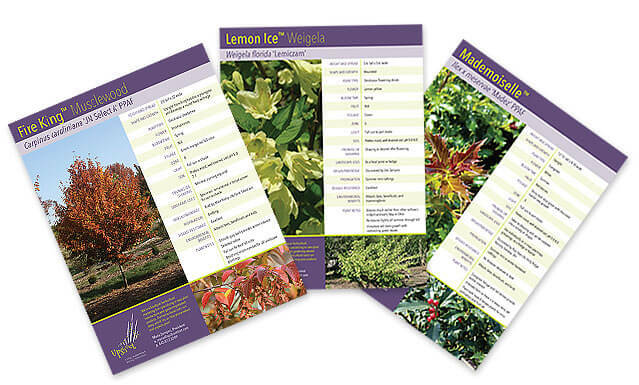 We’re excited to say that new plant introductions from UpShoot are now included in The Perfect Plant database to expose and encourage retailers and consumers to consider our genetics for their plant purchases. Approximately 20 plants have been uploaded so far with more in the queue. Learn more about The Perfect Plant on their website. The winter trade show season was a success. 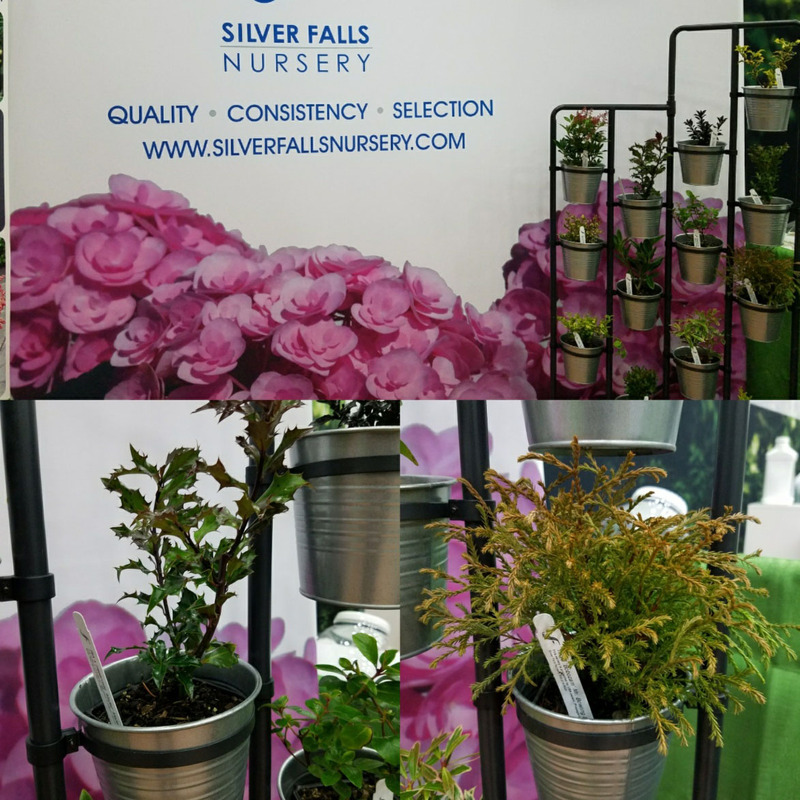 If you didn’t connect with us at MANTS or Green & Growin’, here is a peek of what you missed from us and some of our grower partners! 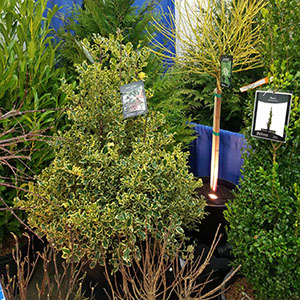 Silver Falls Nursery showcased liners of Mademoiselle holly and Mr. Bowling Ball arborvitae at MANTS. Van Essen Nursery featured a seven-gallon Santa’s Delight holly and top grafted Crème de Mint shrub dogwood in their MANTS booth. 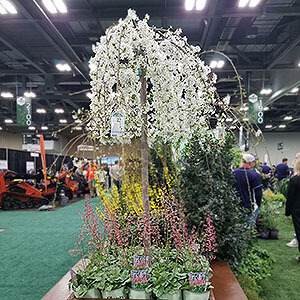 Snow Fountains weeping cherry is always a favorite tree to force for shows as you can see in the Willoway Nurseries MGIX booth. 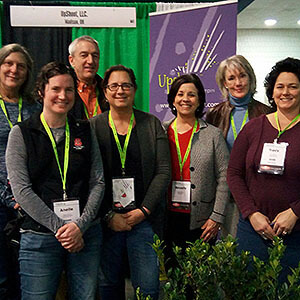 An impromptu meeting of GWA members happened in the UpShoot booth at the Green & Growin’ show. Breeders Phil Dark and Frank Case were able to profile their new plants, Prince Charles Gardenia and Virginian Arborvitae.